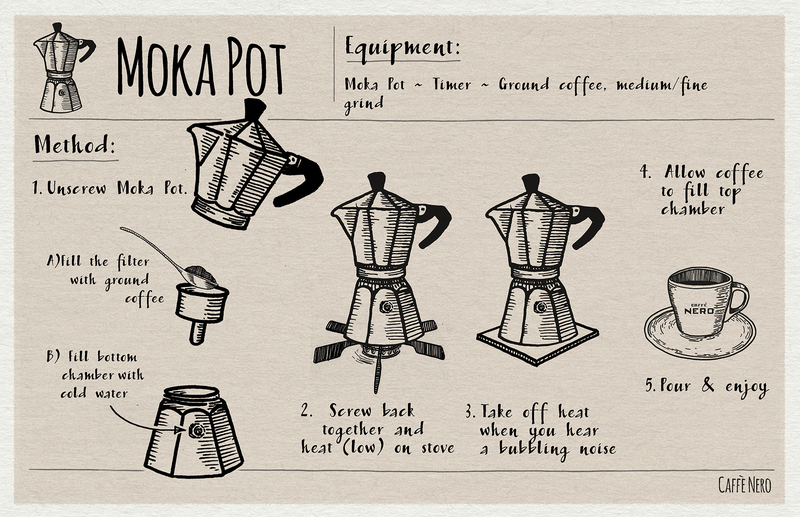 The metal body of the stovetop moka pot is timeless. Its strength lies in its compact design (the Italian name, ‘macchinetta’, literally translating to ‘small machine’), which creates a short, powerful coffee while not being much bigger than a single cup itself. Although the variables, such as coffee freshness, grind and using a low flame when brewing, all need a watchful eye, the process – by which cold water is boiled and forced up through ground coffee – can be relied on to produce a strong and satisfying cup of coffee every time.